*You may start Generation 19 after reaching level 800, but it is suggested to do the other [[Mainstream Quests]] to understand the story more. *You may start Generation 19 after reaching level 20, but it is suggested to do the other [[Mainstream Quests]] to understand the story more. 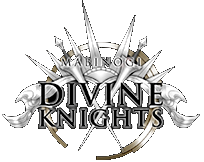 *The quests in this Generation will appear under the "The Divine Knights" tab. #Talk with [[Comgan]] in [[Bangor]]. #**[[Avelin]] is located north of the Bangor [[Moon Gate]]. #*You will enter the [[Shadow Mission]], [[Incidental Inevitability]]. #***[[Spear of Light]], [[Wings of Rage]], [[Hydra Transmutation]], [[Life Drain]] and [[Summon Golem]] can be used if the player does not have melee capabilities. #***[[Spear of Light]], [[Wings of Rage]], [[Hydra Transmutation]], the reflection damage of [[Barrier Spikes]], [[Life Drain]], [[Meteor Strike]] and [[Summon Golem]] can be used if the player does not have melee capabilities. #Talk to Yvona at the Bard Camp. #*You will enter the [[Shadow Mission]], [[What It Means to Protect]]. #**Survive until a prompted dialogue appears about the [[Girgashiy (Monster)|Girgashiy]]'s [[Mineral Hail]] attack. Use [[Shield of Trust]] as the Girgashiy attacks to trigger a cutscene. #**After the cutscene, the Girgashiy will no longer be immune to all damage. Defeat it. #**Girgashiy will use Mineral Hail every 40 seconds, dealing massive damage and is unavoidable. Shield of Trust only provides knockdown immunity to it and stuns Girgashiy if Mineral Hail hits the shield, but no damage reduction due to novice rank. #**When the Girgashiy's HP is low (about 20% or less), it will start using [[Soul Absorption]]. This will cause a shadow of you to appear and move toward the Girgashy. If your shadow reaches it, it will heal some damage and you will be knocked out instantly. #***The safest method to deal with Soul Absorption is to always keep your distance from the Girgashiy and let Avelin and Altam finish it off. When your shadow appears, repeatedly hit it before it gets too close to the Girgashiy. #***The Girgashiy will not attack pets, except for [[Staff Swing]]. #***If Girgashiy uses Fanaticism to grab you, your best chance of survival will be to summon a pet and command the pet to attack Girgashiy because Altam and Avelin may not interrupt it fast enough. #***The safest method to deal with Soul Absorption is to keep a fair distance from Girgashiy and let Altam, Avelin, and a pet deal damage to it. When your shadow appears, repeatedly hit it with normal attacks to stop it from moving. #***If Girgashiy keeps using Soul Absorption and your allies are damaging it too slowly, consider standing just close enough to be able to use some long range attacks between those Soul Absorption uses. #Talk to Avelin in the prairie northeast of Taillteann. #*You will enter the [[Shadow Mission]], [[Do or Die]]. #***This Girgashiy does not use [[Soul Absorption]]. #**Defeat [[Brilluen]], [[Marcan]], and [[Pennar]]. #***Marcan behaves like a [[Bandit#Ogre|Bandit Boss Ogre]]. #Talk to the [[Tara Watchman]] at [[Rath Royal Castle]] gate in [[Tara]]. #*It's the guard on of the left side of the outer gate, near [[Lezarro]]. #*You will enter the [[Shadow Mission]], [[Under Siege]]. #*You will enter the [[Shadow Mission]], [[Under Siege]], which takes place in Rath Royal Castle's Yard. #**Make your way through the Peridot Crystal enemies towards the castle gate. #**Enemies in the mission are weak against [[Judgment Blade]] enough to be defeated in one hit. #***The second wave will contain a [[Girgashiy (Monster)|Girgashiy]]. You must use [[Judgment Blade]] to defeat it. #**[[Peridot Crystal Wolf]] and [[Peridot Crystal Boar]] spawn in groups along the path fighting castle guards. When a group is defeated the next will appear. #***The fourth wave will contain two Girgashiy. Use Judgment Blade to defeat them and complete the mission. #***The second group will contain a [[Girgashiy (Monster)|Girgashiy]]. When it is defeated, the remaining enemies in the group will disappear. Use Judgment Blade to defeat it. #***The fourth group will contain two Girgashiy. When they are defeated, the mission will end. Use Judgment Blade to defeat them. #Talk to the Rath [[Royal Castle Guard]] in Tara. #*You will enter the Shadow Mission, [[Gods Save the Queen]]. This mission is split into two parts. #*You will enter the Shadow Mission, [[Gods Save the Queen]], which takes place in Rath Royal Castle's Hanging Garden. This mission is split into two parts. #*For the first part, proceed towards the center of the Hanging Garden. Enter the circle when you are ready to begin the battle. #*For the first part, [[Eirawen]] and a group of guards are at the center of the garden. Enter the circle when you are ready to begin the battle. #**Do not let any Ancient enemies enter the circle beside [[Eirawen]] or you will automatically fail the mission. #**Enemies in the mission are weak against Judgment Blade enough to be defeated in one hit. #**Use Judgment Blade to defeat the Ancient enemies. Use [[Celestial Spike]] to decrease enemy [[Movement Speed]]. #**You may want to test your Judgment Blade before starting in order to get a feel for its attack animation time and range. #**[[Sand Burst]] will stop the enemies, this will also save on your Crusader skills cool down time. #**Large ancient peridot crystal enemies will spawn randomly at 8 positions surrounding the center. They move slow and will not aggro unless attacked. One at a time, they will move towards the center of the garden. If they reach the circle, you will fail the mission. #***The enemies have [[Advanced Heavy Stander]] but can be [[stun]]ned. Using a pet to auto-attack the enemy, it allows you time to charge and cast Judgment Blade. #**Defeat 6 enemies for a cutscene to occur. #***Attacking the enemy will cause it to aggro you, stopping its forward movement. However, it will not attack you and you may use Judgement Blade at this time. #***Stand at the center and wait to see which enemy starts moving towards the center. Move to the path between it and the center, then load Judgment Blade. Wait for the enemy to come within range to attack them with Judgment Blade. Your best chance to hit them is when they are moving within the linear path of your blade. #**Defeat 6 Ancient enemies for a cutscene to occur. #***If you are having trouble hitting them with Judgment Blade, you may use [[Celestial Spike]] to decrease enemy [[Movement Speed]], or use [[Sand Burst]] to temporarily stop them. #*For the second part, after the cutscene, two Girgashiy will spawn. #***Enemies have [[Advanced Heavy Stander]] but can be hit [[stun]]ned. Using a pet to auto-attack the enemy will also give you time to charge and cast Judgment Blade. #**During this time, you will have full access to all [[:Category:Crusader Skills|Crusader Skills]] without having the shared cooldown. #***Attacking the enemy will cause it to aggro you, stopping its forward movement. However, it will not attack you and you may use Judgment Blade at this time. #**The Girgashiy in this mission mostly uses Staff Swing. It may use Holy Contagion, but the damage from this is severely lowered compared to normal. #*For the second part, after the cutscene, two Girgashiy will spawn at the two corners of the garden away from the door to the interior. #**During this time, you will have full access to the 3 basic [[:Category:Crusader Skills|Crusader Skills]] without them having a shared cooldown. #**The Girgashiy will mostly use Staff Swing, occasionally use Holy Contagion, and always use Mineral Hail after several attacks or every 40 seconds. #**The Girgashiy will drop aggro and return to their starting position if you use [[Hide]], use [[Crisis Escape]], or you are knocked unconscious. #**The Girgashiy are unimpeded by obstacles. It is in your interest to fight them at a spot where you will not get blocked by the garden obstacles. #**After defeating both Girgashiy, a cutscene followed by the ending credits occurs. #***The most opportune time to use Judgment Blade is after a Girgashiy jumps on top of you with Mineral Hail. #***One strategy is to separate the Girgashiy so you can fight them one at a time. They both aggro immediately after the cutscene, so the only way to separate them is by running away towards the door to the interior and when you reach it, drop aggro using Hide or Crisis Escape. If you don't have either skill, you can also get knocked unconscious there and revive with a [[Nao Soul Stone]] after they leave. After the Girgashiy return to their starting positions, go to one of the corners across from the Girgashiy and slowly move within range to attract one of them. Let it come to you and be wary that you have limited room to fight it because you don't want to accidentally attract the other.